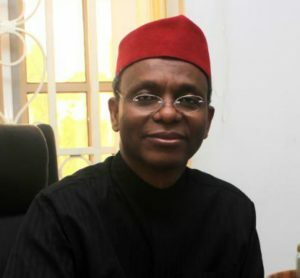 The Kaduna state governor, Nasir el-Rufai on Saturday said parents in the state who fail to send their children to school in September would be jailed. He said this during the screening of a documentary, “He named me Malala,” organized by his wife. El-Rufai’s wife, Hadiza lamented that the percentage girls out of school in the state was too high. She further said young girls must be supported with education and training required to ensure that they contributed effectively to the society. “I wish to start by thanking all of you for coming to this screening of the ‘He named me Malala Documentary.’ While most of us know Malala as the 19-year-old Pakistani activist for female education and the youngest Nobel Peace Prize winner, it is important to know where her journey started. “Malala was just a regular Pakistani girl with a penchant for education until in 2012 when her pursuit for education resulted in her being shot and put in a coma. The attack received worldwide condemnation; she has since recovered from the tragedy and has translated this tragedy to worldwide advancements in girl child education.